Tiffany & Co. is seeking millions in damages from warehouse club Costco, alleging the discount retailer was selling counterfeit Tiffany diamond rings. Tiffany & Co. is seeking millions in damages from Costco, alleging the discount retailer was selling counterfeit Tiffany diamond rings. The lawsuit, filed in U.S. District Court in New York on Valentine's Day, accuses Costco with trademark infringement, counterfeiting, and false and deceptive business practices. It is seeking damages equal to triple the amount of any profit Costco made on the sale of the rings and $2 million in punitive damages for every model of the Tiffany rings that were sold. Costco (COST) did not have a comment on the suit. 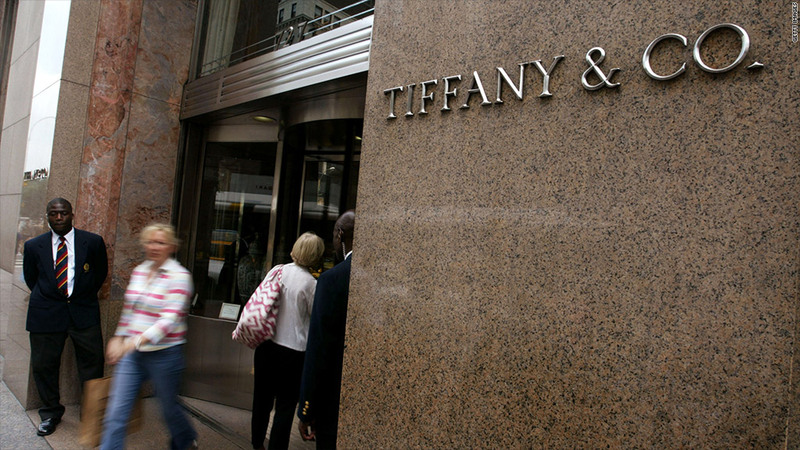 Tiffany's suit said it found out about the rings in November when a customer at Costco in Huntington Beach, Calif., noticed what was advertised on in-store signs as "Tiffany" diamond engagement rings for sale. The customer complained to Tiffany, saying she was disappointed to see the jeweler selling its rings in Costco. The suit says that one of the rings was being sold for $3,199.99, another was listed for $6,399.99. Tiffany (TIF) said that when it confronted Costco with the information, Costco said it immediately removed all reference to Tiffany. But the suit alleges the sales practice had been going on for years. It said Costco did not use the Tiffany description of the rings when selling them online in an effort to avoid detection.